The Dustin Table Lantern mixes unique, modern shapes with natural materials. A natural wood finished PVC veneer diffuses the light and reveals a beautiful wood grain. 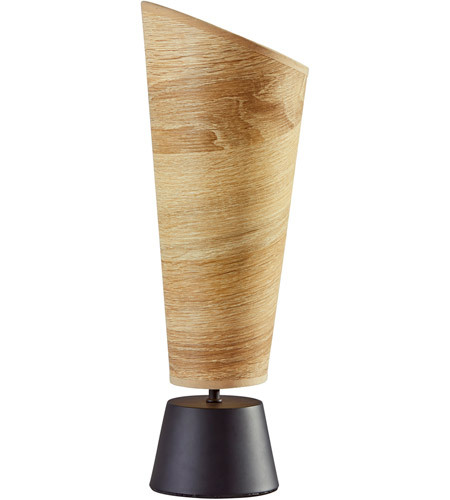 At 16" high and 6" wide, this table lantern is the perfect accent piece for a desk or bookshelf. With a smooth matte black finished base, this lantern can fit into a variety of decor.